The blind harper Turlough O'Carolan (1670-1738) was the greatest of the Irish bards, whose 200-plus surviving melodies are a unique and beautiful blend of Celtic and Baroque influences. Robin has been interpreting Carolan's works for over thirty years, and this benefit compilation draws together gems from a half-dozen of his CDs, offering an hour of Carolan's evocative soundworld brought to life as only a master can. Profits from this CD will be donated to Brother Wolf Animal Rescue, Asheville, NC (www.bwar.org) and Full Moon Farm Wolfdog Rescue and Sanctuary, Black Mountain, NC (www.fullmoonfarm.org). The blind harper Turlough O’Carolan (1670-1738) was the greatest of the Irish bards, whose 200-plus surviving melodies are a unique and beautiful blend of Celtic and Baroque influences. 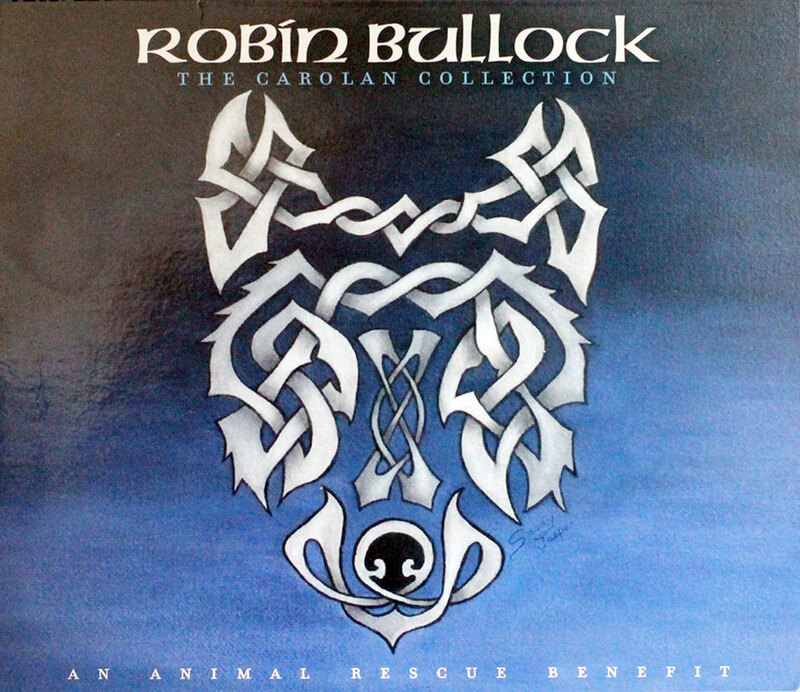 Award-winning guitarist Robin Bullock has been interpreting Carolan’s works for over thirty years, and this benefit compilation draws together gems from a half-dozen of Robin’s CDs, offering an hour of Carolan’s evocative soundworld brought to life as only a master can. Profits from this CD will be donated to Brother Wolf Animal Rescue, Asheville, NC, and Full Moon Farm Wolfdog Rescue and Sanctuary, Black Mountain, NC. All tracks solo guitar except Carolan’s Quarrel with the Landlady (two citterns, guitar and bass guitar), Charles O’Conor (two 12-string guitars), Sir Charles Coote/Captain Higgins (two guitars), Luke Dylan/O’Flynn (guitar, two citterns and mandolin), and Blind Mary (two guitars). All instruments played by Robin Bullock except on Blind Mary: Steve Baughman and Robin Bullock, guitars.